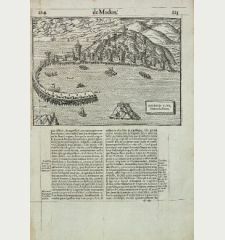 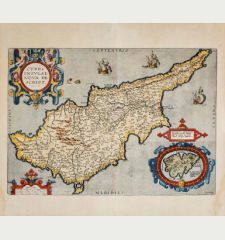 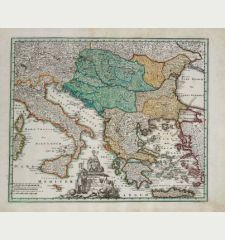 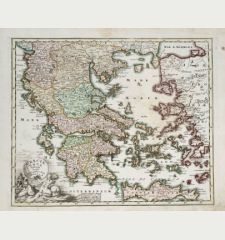 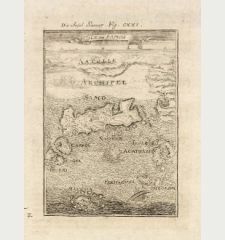 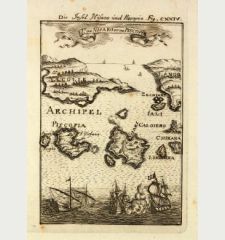 Antique map of the Aegean Sea. 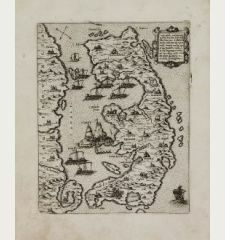 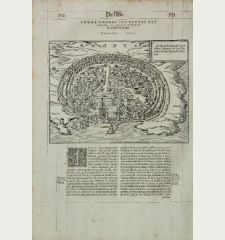 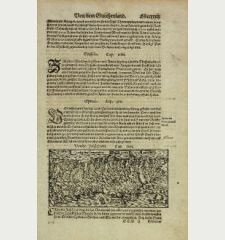 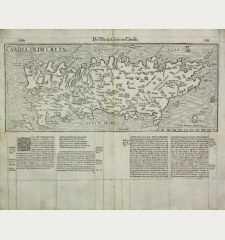 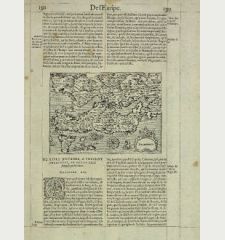 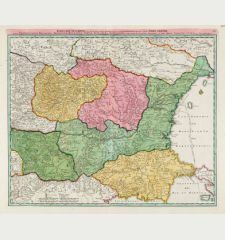 Printed in Frankfurt circa 1686. 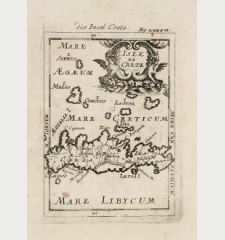 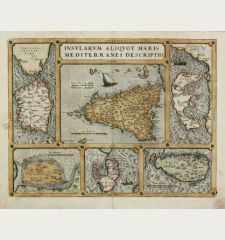 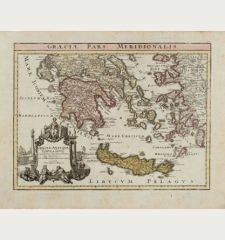 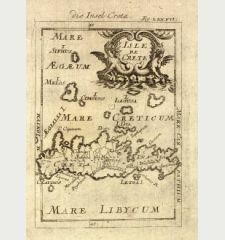 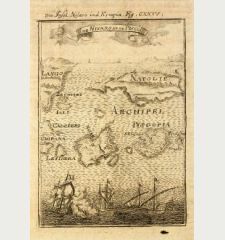 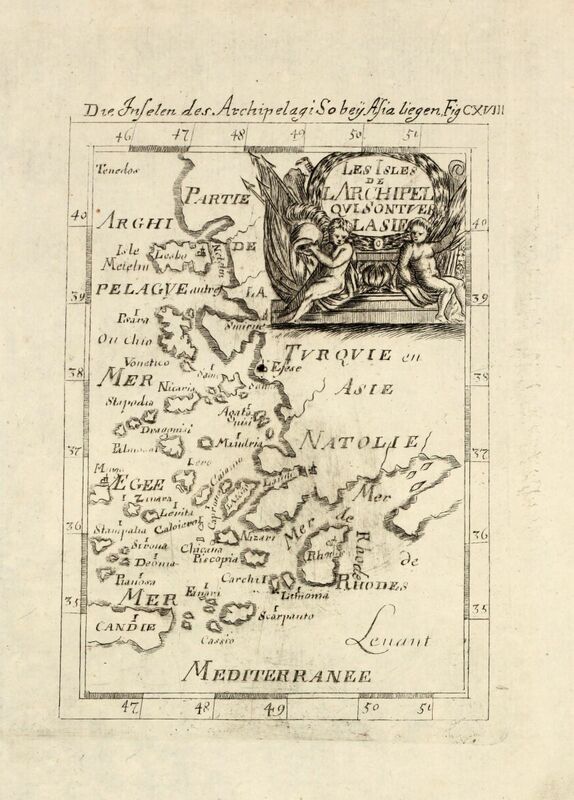 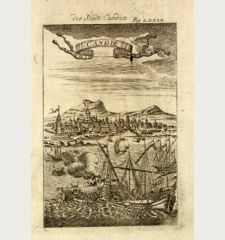 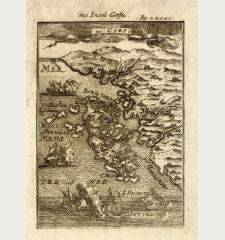 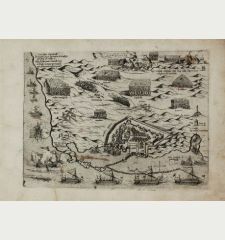 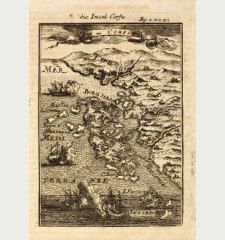 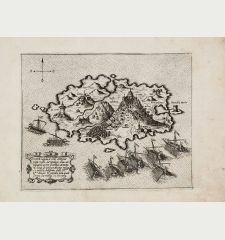 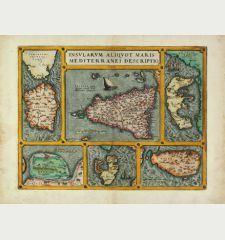 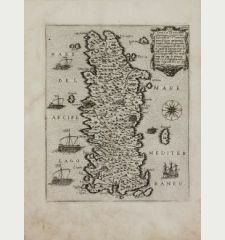 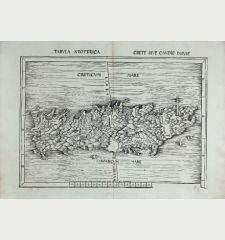 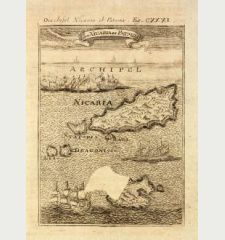 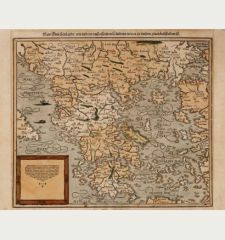 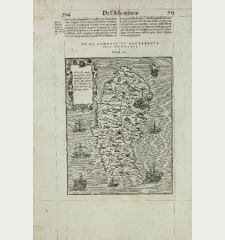 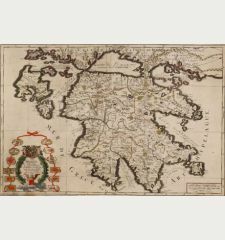 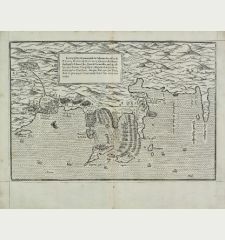 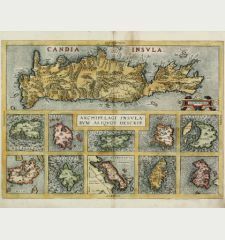 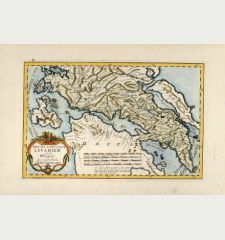 Decorative engraved map of the eastern part of the Aegean Sea from Alain Manesson Mallet. 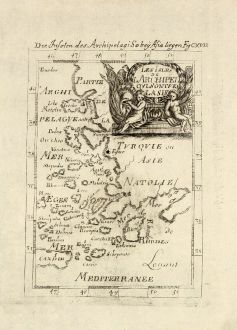 With one figural cartouche. 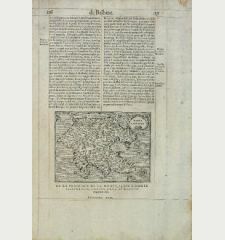 Minor browning, printing ink partly blurred, good copy. 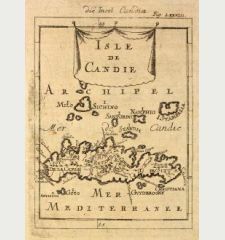 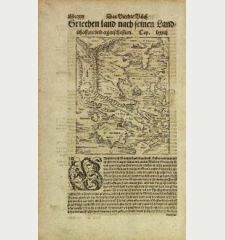 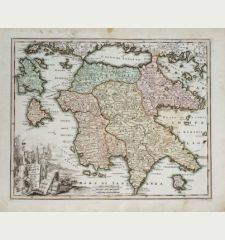 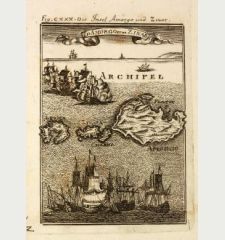 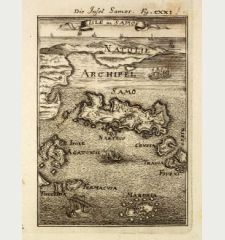 Alain Manesson Mallet: Die Inseln des Archipelagi so bey Asia liegen / Les Isles de l'Archipel qui sont vers l'Asie.